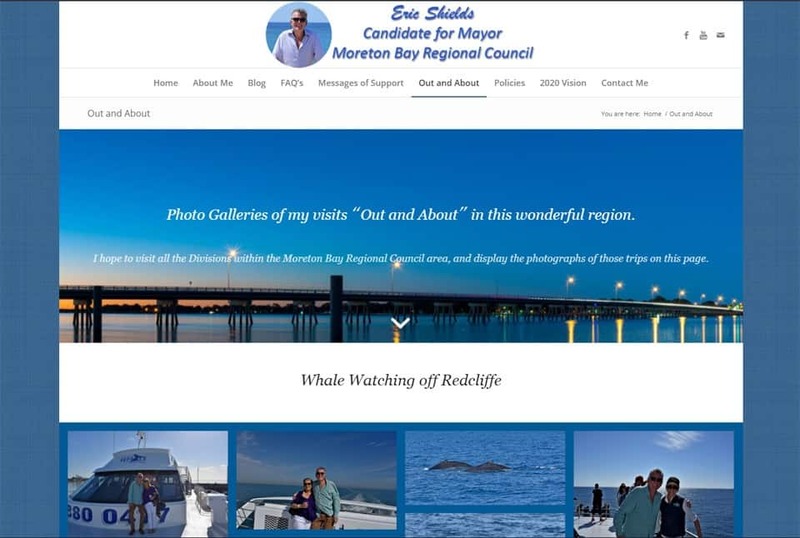 This is the website we designed for Eric Shields for Mayor Moreton Bay Regional Council. He is located in Meldale. It is a CMS WordPress based website, as are all our websites. It features a Home Page Layer Slider, Blog Subscription, Event Countdown Timer, FAQ’s, Messages of Support, and Photo Gallery. 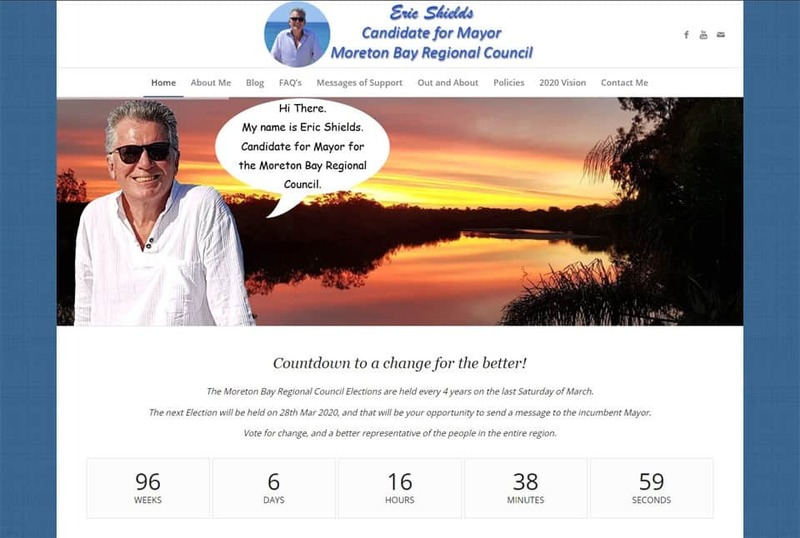 This website was designed in support of Eric Shields who will be running for the position of Mayor for the Moreton Bay Regional Council in 2020. Iain at Spotty Dog Computer Services has just finished designing my website Eric Shields for Mayor Moreton Bay Regional Council. I am extremely happy with the result. Iain setup the web hosting, the email, and designed my new website. I needed a website to help promote my Election campaign, and Iain came through with flying colours. Customised Themes and Unique Websites. Domain Name Registrations and Transfers. Optimise your website for better Search Results. Website Design, Maintenance and Development. I Have dealt with Iain for the past two years and have found him to be very professional, knowledgeable and extremely helpful. Most importantly he is very prompt and will act immediately on all changes we require to our website. I would recommend him to anyone looking for an all round professional service. We required a website that is reliable, easily managed and cost effective to set up and maintain. Iain provided the total package for our business. The website has met all of our requirements and expectations and has provided us with the opportunity to get on with running our business. Thanks for your help Iain. After years of being scared of entering into the world of websites and the internet platforms we found Spotty Dog. What a lot of wasted anxiety. Iain has led us through the process so professionally effective and at no stress. We now have a totally modern and revitalised business.Thanks. I had been wanting to get a website for our family business for a long time, but it seemed like such a dauting exercise. That was until I talked to Iain. He broke it down into easy manageable steps that took all the stress out. Now I have a website that I can add to and edit whenever I like.